Benchmark indices were trading lower led by power, utilities, finance, and energy stocks and weak global cues. Equity benchmark indices were trading lower on Monday led by power, utilities, finance, and energy stocks and weak global cues. The BSE Sensex dropped below the psychological 35,000-levels in early trade. At 11:28 AM, the Sensex was trading at 34,841, down 171 points, while the Nifty fell 71points to trade at 10,482. From the PSU banking space, State Bank of India (SBI), Oriental Bank of Commerce (OBC), Indian Bank, Canara Bank, and Bank of Baroda (BoB) were the top gainers on the Nifty. Auto stocks, however, were down, with Tata Motors, Hero Moto, Mahindra & Mahindra, Eicher Motors, Ashok Leyland, and Bajaj Auto trading lower. The most actively traded stocks are Axis Bank, PC Jeweller, Maruti Suzuki, SBI, and ONGC. Meanwhile, Axis Bank, SBI, Hindalco, Tech Mahindra, and Bajaj Finserv were the top gainers on the Nifty, while Indiabulls HF, IOC, NTPC, HPCL, and BPCL were under pressure. Of the 2,070 stocks traded on the NSE, 955 advanced, 688 declined, and 427 remained unchanged. A total of 12 stocks registered a fresh 52-week high in trade, while 38 stocks touched a new 52-week low on the NSE on Friday. 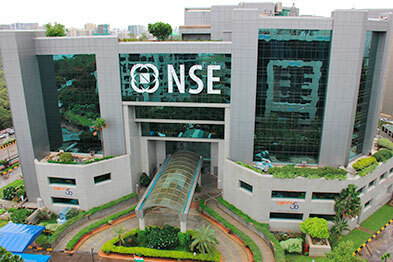 The BSE MidCap and SmallCap indices rose 0.08% and 0.16%, respectively. Volatility index India VIX was up 5.69% to 19.26.